Don’t blink or you’ll miss the savings! 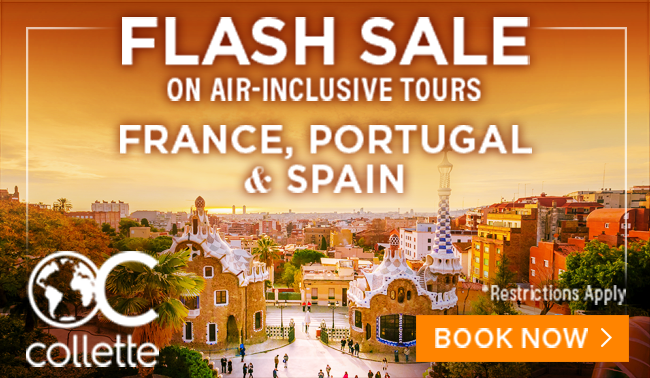 From February 11-19, 2019 you can take advantage of Collette’s incredible 12% off sale on tours to Spain, Portugal & France. Choose from 17 tours and over 100 individual departures. Travel Portugal’s dramatic shoreline, meandering cobblestone streets, oceanfront promenades and quaint bays. Revel in the allure of Paris on this spectacular tour which includes its spectacular sights, history, architecture, art, and – of course – fine food and wine. For reservations or more information, call Collette at 844-310-5258 or contact your local travel professional. 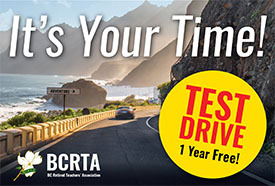 Let them now you are an BCRTA member and save an additional $100 per person* on top of this already incredible deal! Visit collette.com/bcrta to view all 160 tours. *Use offer code to save 12 percent on land portion of specified tour departures to Spain, Portugal and France. Offer valid on bookings made 2/11/19- 2/19/19. Offers are not valid on group or existing bookings, or combinable with any other offer, excluding member benefits. Other restrictions may apply. Offer may be withdrawn at any time. Call for details.